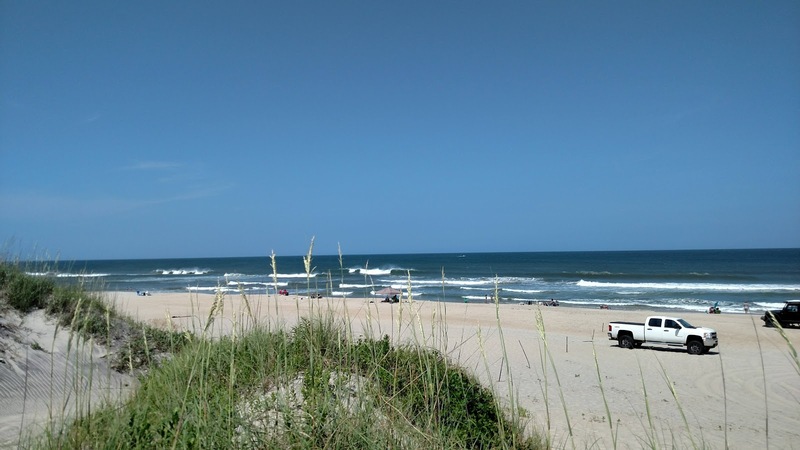 Recent dialog on the OBX Beach Life Forum noted a need for a calendar to allow forum participants a way to inform others when they will be visiting to better coordinate gatherings and sailing sessions. Fortunately Google provides a solution that easily maps with other integrated components such as the forum or this blog. Still working out the kinks on the calendar; however, there are a few posts up from sailors who will be visiting the islands later this year. If you are interested in coordinating with fellow Hatteras bound windsurfers, the new OBX Beach Life Calendar is a great way to see when folks are planning a visit, and arrange similar windows of opportunity! Note, you will need to be a member of the OBX Beach Life forum to post to the calendar. However, anyone can view! The post the new vintage old dresser in the beach cottage kitchen mini makeover appeared first on Beach Decor Blog, Coastal Blog, Coastal Decorating. The post Beach Cottage Easy Hazelnut Honey Slice Recipe appeared first on Beach Decor Blog, Coastal Blog, Coastal Decorating. The post A Beach Cottage Summer Party on the Deck appeared first on Beach Decor Blog, Coastal Blog, Coastal Decorating. The post Special Beach Cottage Christmas Rituals appeared first on Beach Decor Blog, Coastal Blog, Coastal Decorating. The post Christmas Beach appeared first on Beach Decor Blog, Coastal Blog, Coastal Decorating. The post A Christmas Morning at the Beach appeared first on Beach Decor Blog, Coastal Blog, Coastal Decorating.